How your prayers can change your marriage! Prayer really is powerful! You might be concerned about your husband’s actions or decisions. You may be distressed about his lack of attention or affection toward you or the children. If the offense is serious enough, you may need to establish boundaries, but at the end of the day, the truth is…you can’t CHANGE your husband. 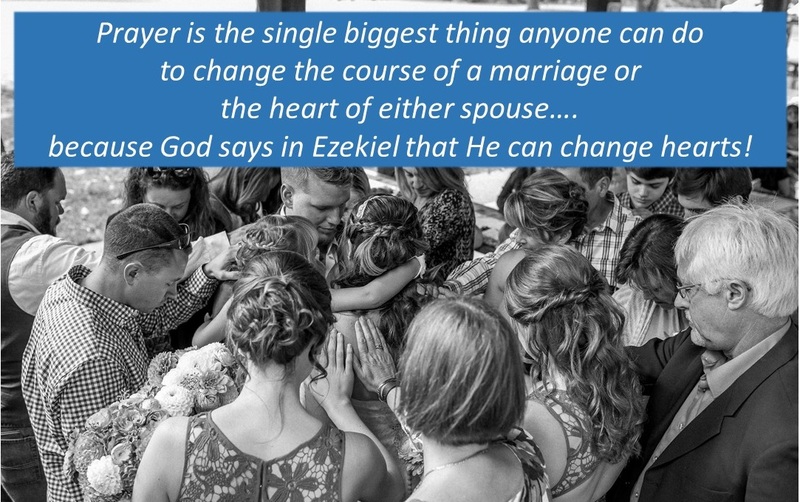 However, the good news is that God DOES have the power to change your husband’s heart! Ezekiel 36:26 lets me know God can change your man’s heart because that verse says “I will give you a new heart and put a new spirit in you”. I love to encourage wives to pray that verse for their husbands if their men appear to be off course in some area of their life. Then, we have to be patient while we wait for God to answer our prayers for our men. We also have to be intentionally watchful or we may even miss the answer to our prayer. I was just thinking back about prayers I lifted to God several years ago regarding my husband. Just recently, I suddenly realized that God had actually answered those prayers! The changes happened so slowly and over such a long period of time that I hadn’t really noticed! Hmmm. It’s a good reminder to pray persistently, as Jesus instructs us to do in Luke 18, and then be watchful and alert for his answers. Colossians 4:2 says “Devote yourselves to prayer, being watchful and thankful.” So, don’t let an answered prayer slip by unnoticed. We don’t want to miss out on thanking God and rejoicing in His faithfulness. Looking back, can you see God making slow changes in your marriage, in you, or in your husband as a result of your long-time prayers? ← Becoming a secure & confident woman!